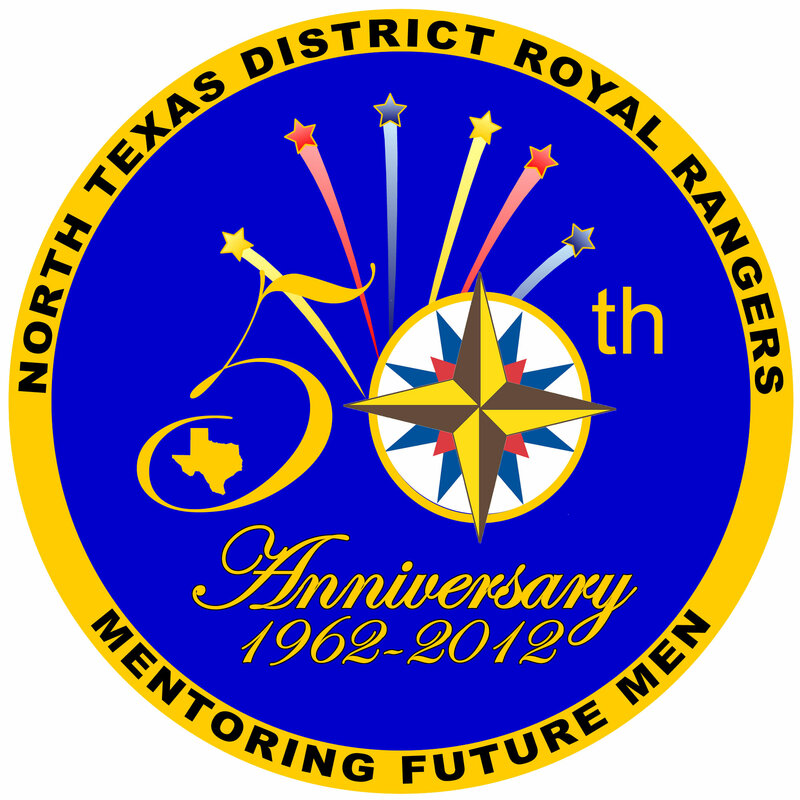 The North Texas Royal Rangers for numerous years provided either an activity patch or hat pins as an incentive to boys to participate in the various scheduled activities at their Pow Wow and Winter Camp events. To celebrate the 50th Anniversary of Royal Rangers in a unique way, the North Texas Royal Rangers decided to issue a challenge coin and use if for the activity incentive for the 2012 Winter Camp. On the obverse (front) side, I used the logo I created for the district to use in various 50th anniversary promotions throughout the year. 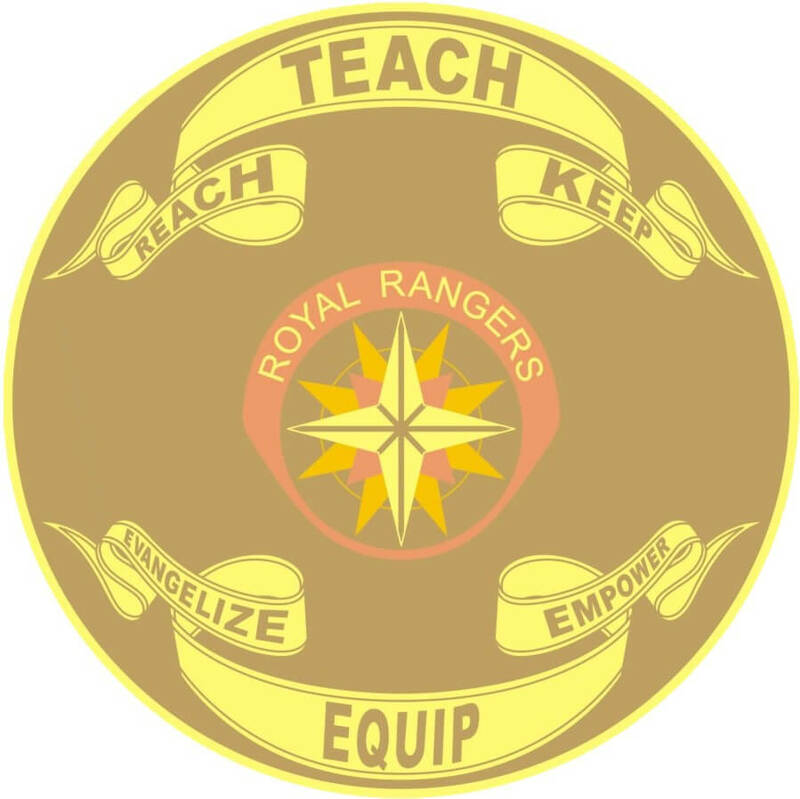 On the reverse (back) side, is the Royal Rangers emblem and the older mission to “Reach, Teach, and Keep” and the newer mission to “Evangelize, Equip, and Empower”.